It’s a long-standing tradition performed at the workbench of American garages — passing garage logic to the next generation. From hammering that first nail to changing a car’s oil, the garage is a living laboratory where parents teach their kids life lessons, self-reliance and problem-solving skills. It can even be an incubator where the seeds of a future profession grow. Today, instilling that larger vision requires a break from the small screen. Too often, smartphones and video games dominate the attention of kids, replacing time once craved from their parents. In 2016, National Public Radio reported preteens spend more than four hours per day in front of their screens, and teens spend seven, not including the time spent using these devices for or in school. Replacing the tablet with a tool in kids’ hands requires parents to be creative and focused. Here are some easy ways to start and, in the process, create a sense of accomplishment and ownership kids won’t forget when it is their time to pay it forward. Start with a tour of your tool collection, demonstrating the role each one plays. Chances are you acquired your tools over a lifetime or more, elevating their significance beyond the specific task for which they were initially forged. Some may even carry a special story — the $3 putty knife that saved a $200 damage deposit in your first apartment, or the pipe wrench that stopped a basement flood in your childhood home. Share the stories, and the glory. Projects with a variety of tasks provide opportunities for all skill levels to get involved. Just one example is maintaining a wood deck or fence. 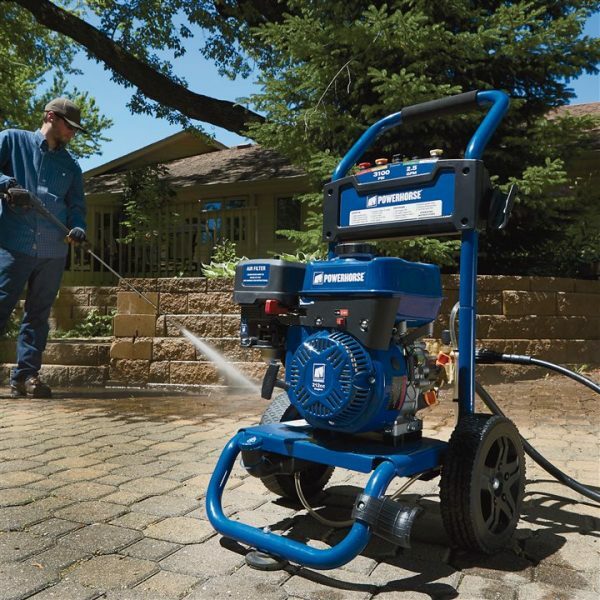 Youngsters can assist with sanding and painting, while teenagers can learn to clean fences with a Powerhorse Pressure Washer from Northern Tool + Equipment. Keep it interesting by introducing more sophisticated tools as they get older. Help your children understand the importance of keeping tools and workspaces safe, clean and well maintained. Everything starts with protective gear — safety glasses, earphones, masks and gloves — appropriate for different jobs. Teach them the value of caring for your investments. Preventative maintenance, such as changing oil and checking filters, keeps equipment working better and longer, which ultimately saves money. When the project is done, stress the importance of returning everything to its place for an organized and safe shop. Most of all, make your garage a place kids want to be. Personalize your garage with conversation pieces, memorabilia from your local sports teams or other things that may not be welcomed inside the house. The ultimate goal is keeping kids interested and wanting to learn more ways to be helpful around the house. Assume the role of mentor, not a drill sergeant. Teach them what they need to know and how to succeed. Finally, when a job is done, make a point to celebrate with refreshments and sincere thanks. This fulfillment will keep them motivated and instill invaluable garage logic that will forever be part of their character. When you or someone you know needs the services of a quality home inspection company, we would truly appreciate you thinking of us. You can schedule right from our website or call our office (786) 477-5975.